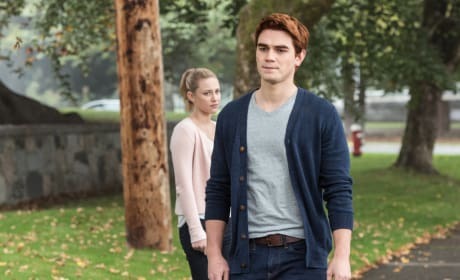 Things are not looking good between best friends Betty and Archie. He looks conflicted and she is absolutely worried. This isn't a good sign for repairing their past troubles. Betty and Cheryl stand over a roaring fire on Riverdale Season 1 Episode 3. 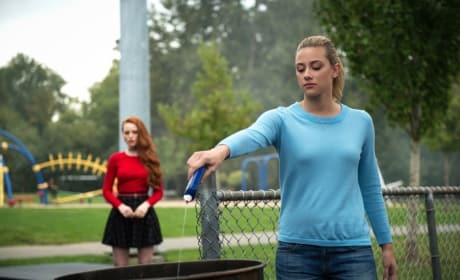 Betty pours lighter fluid into a trash barrel on Riverdale Season 1 Episode 3. 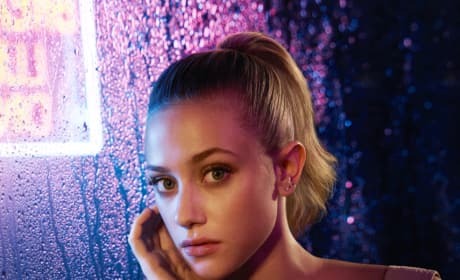 Betty tries on a daring new look on Riverdale Season 1 Episode 3. Now isn't this an iconic moment? The Archie gang together again at Pop Tate's Chock'lit Shoppe. Something is bringing on this cheerful moment in the dark town. Betty and Kevin do not look happy with the latest news they just heard. Could this be about her longtime crush, or her new frenemy? 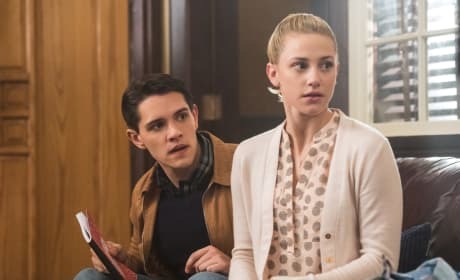 Knowing the drama at Riverdale High, it doesn't look like good news. 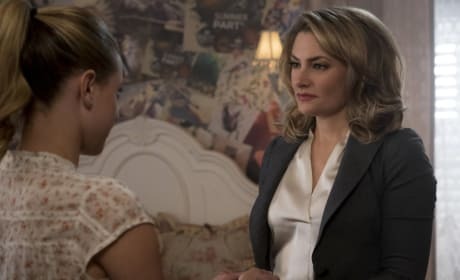 Alice Cooper gives less than nurturing advice to her daughter on Riverdale Season 1 Episode 1. Betty is the picture of wholesome perfection. 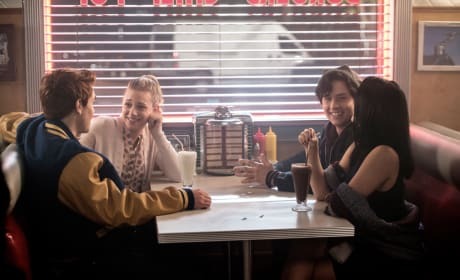 But while dealing with an overbearing mother and a longtime crush on her best friend Archie, she looks to a new friend for a new outlook on life.